Completely updated to meet the current standards of the AAMA and the AMT, this streamlined review tool provides at-a-glance access to the concepts and competencies covered in the CMA and RMA examinations. It features comprehensive pre- and post-tests available as pencil-and-paper tests or electronically on the companion CD-ROM that mirror the content and format options of the certification exams. Practice tests include clear rationales that help identify areas where more study is needed. 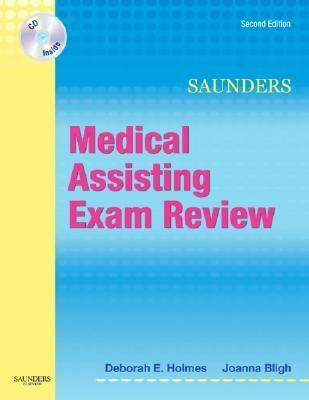 Test-taking tips and study techniques offer helpful suggestions on improving retention and recall.Bligh, Joanna is the author of 'Saunders Medical Assisting Exam Review ', published 2007 under ISBN 9781416024408 and ISBN 1416024409.